The US has carried out a commando raid on an al-Qaeda stronghold in central Yemen, killing 14 militants, the military says. One US soldier died and three were injured. Several Apache helicopters were reported to have taken part in the operation in Bayda province. Three al-Qaeda leaders were among those killed in a battle lasting 45 minutes in a village in Yakla district. Earlier reports suggested a higher death toll. The pre-dawn raid by US Special Operations commandos in Yemen was planned while Barack Obama was still president. But it was President Donald Trump who authorised it, launching a rare operation that put US boots briefly on the ground in a part of Yemen largely controlled by al-Qaeda and its tribal allies. Yemen, the poorest country in the Arab world, has been gripped by a seemingly intractable civil war for more than two years. It is also home to a branch of al-Qaeda considered to be one of the most dangerous in the world. The group, thought to number only a few hundred Saudi and Yemeni militants, includes a number of expert bomb-makers who have succeeded in smuggling explosives on board planes three times. 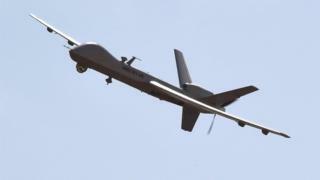 The US has carried out frequent missile strikes on al-Qaeda's bases in Yemen using unmanned drones.